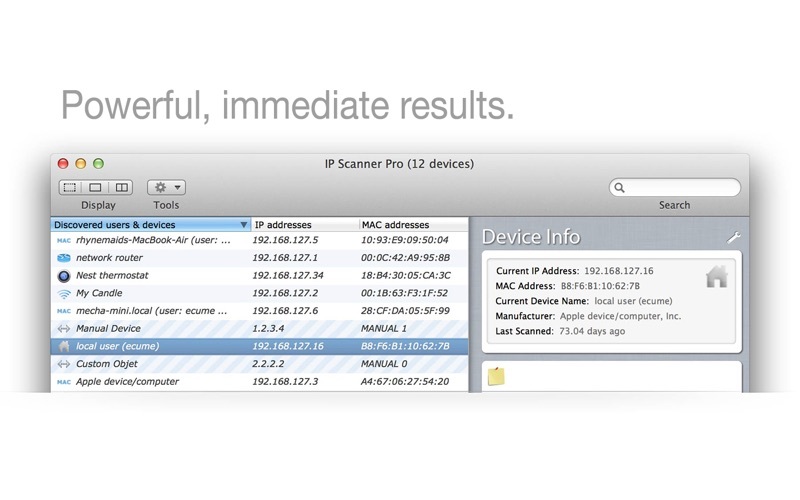 The Home edition of IP Scanner supports identifying and customizing results for up to 21 devices on your home network. 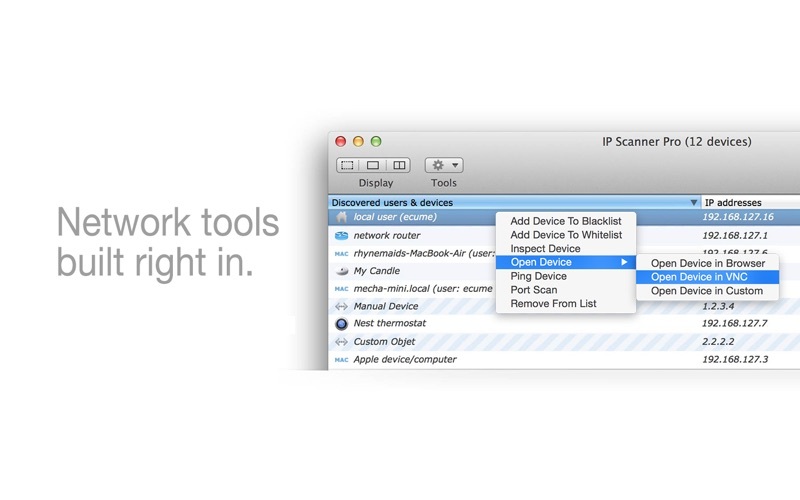 To manage networks larger than 21 devices, consider IP Scanner Pro, also available on the App Store. 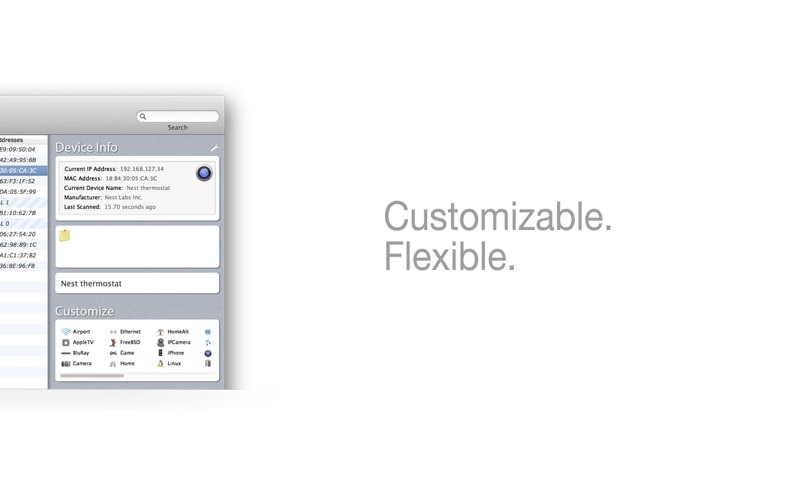 IP Scanner is all about customizing the way you see your network. You may apply custom names and icons to the devices on your network and adjust the type and amount of information you see in the network overview. IP Scanner can be used in several primary modes: as a way to get a quick overview of which devices are currently on the network, including seeing which devices are actively and passively present. It may also be used in a 'cumulative' mode which displays network changes over time, including options to display devices which were once present but now no longer visible. Finally, by using the whitelist and blacklist features, you may filter out known and trusted devices to quickly reveal new or unexpected ones: a great way to easily identify unwanted network visitors. 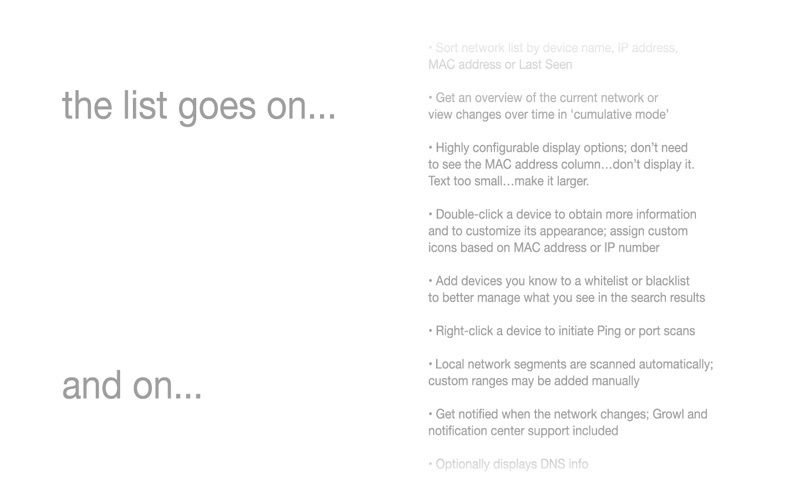 IP Scanner also includes Growl support for notifications of new devices and changes in device state. 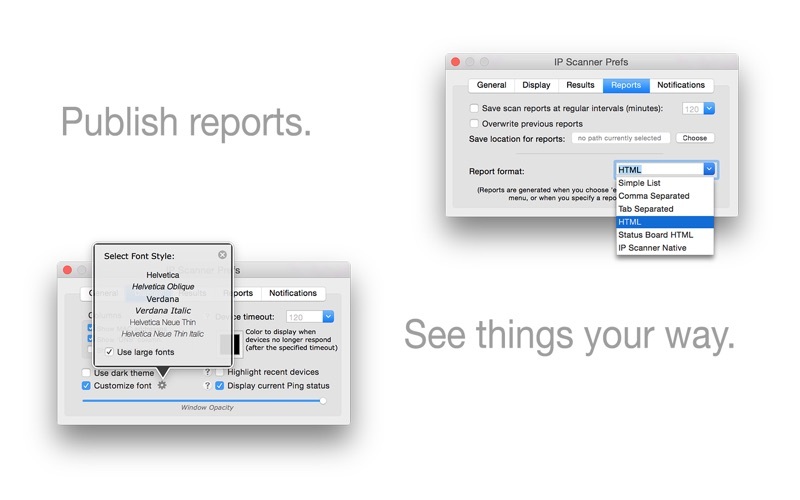 Not sure if IP Scanner does what you want? 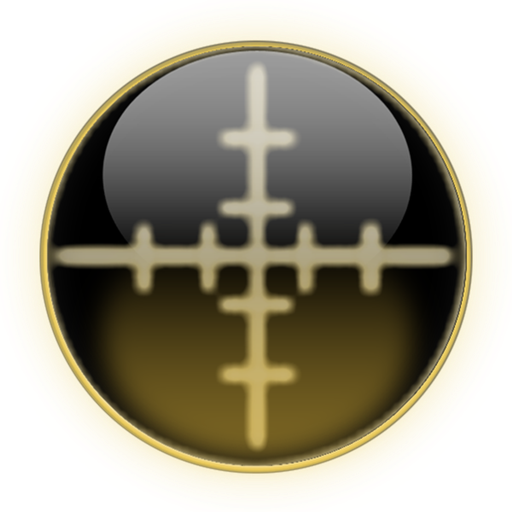 Try IP Scanner standard edition for free to see if IP Scanner is for you.